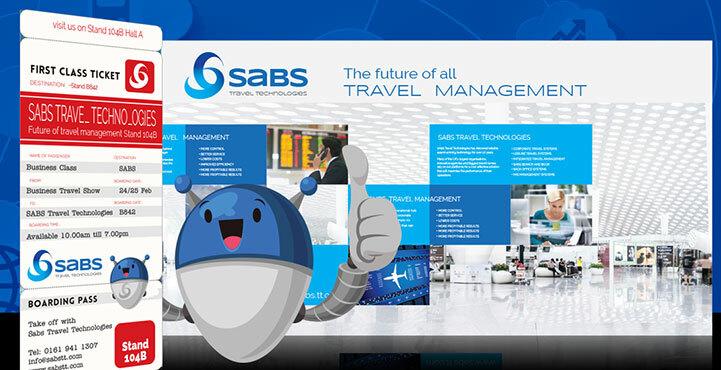 When you book a flight, a holiday or train journey via a travel company or agency the technology behind it will most probably be a SABS system. From the leading online and high street agencies to some of the UK’s largest organisations SABS manages their travel operations. The SABS Mr Booking system has been around for almost 10 years and during the past 12 months undergone a fundamental rebuild; SABS got in touch with us at Kimberley Towers Media as they wanted to launch a new website and have marketing collateral to really make an impact on potential and current customers. The team of Matt, Kim, Ryan and Niki worked to design, build and deploy all marketing and web development over a 12 month period. SABS had a new conference stand built, building signage designed, promotional video, web-site , vehicle signage, brochure and mobile app design as part of the project. 12 months on from the start of this project and SABS Managing Director Brian Sheerin is delighted by the results. Copyright © Kimberley Towers 2014 onwards. All rights reserved.